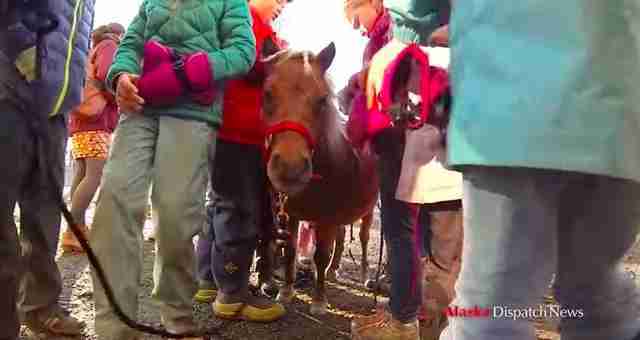 Gwen might be the most popular fixture at the Winterberry Charter School in Anchorage, Alaska ... and she's not even one of the students. 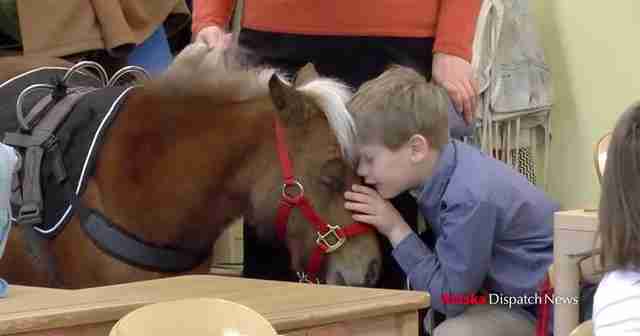 The miniature horse is a service animal for 7-year-old Zaiden Beattie, and she's there to help him walk. Beattie has a rare genetic disease called ataxia-telangiectasia, which will gradually affect both his balance and his muscle control. He will have to use a wheelchair at some point, the Alaska Dispatch News reports, and the disease will eventually be fatal. 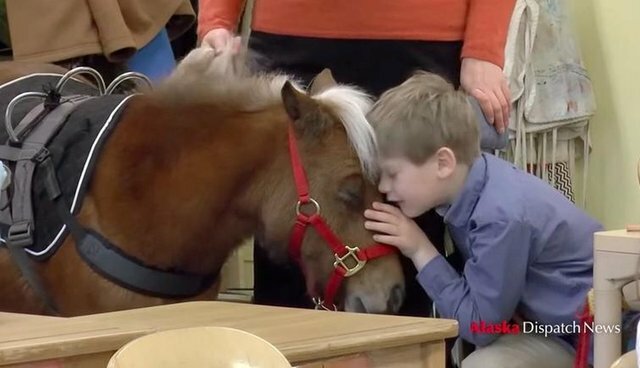 Using a walker was an option for the little boy, but Beattie loves animals, and a service horse seemed like a much better choice: A helper who could also be a friend. Beattie can rest his weight on Gwen's sturdy body whenever he needs to. 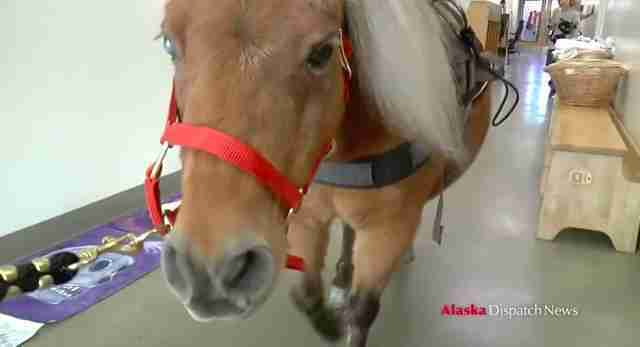 The 7-year-old horse and her colt, Zoe, live in the family's backyard. Beattie's classmates can't pet Gwen when she's wearing her harness, but at recess she takes a break and everyone loves to stroke her and braid her mane. 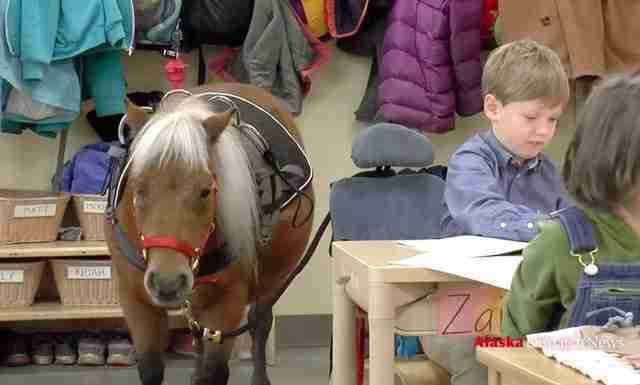 Service animals can change lives, and Beattie is by no means the only kid whose helper comes to school with him. Eleven-year-old Bella Burton relies on her Great Dane George to help her get around at school and at home.